Since moving into the condo, space and what I can do are limited, so I have to pick and choose carefully what I wanted to plant. I went for perennial flowers that attract butterflies, skippers and bees and grow them in the containers on my deck. The picture above is the wild geranium that was here already when I moved in. 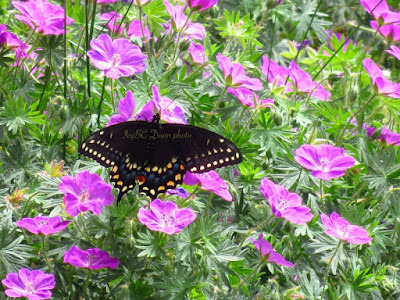 This beautiful black swallowtail seemed to like that too. Just lovely, what a great time of year! Just beautiful. 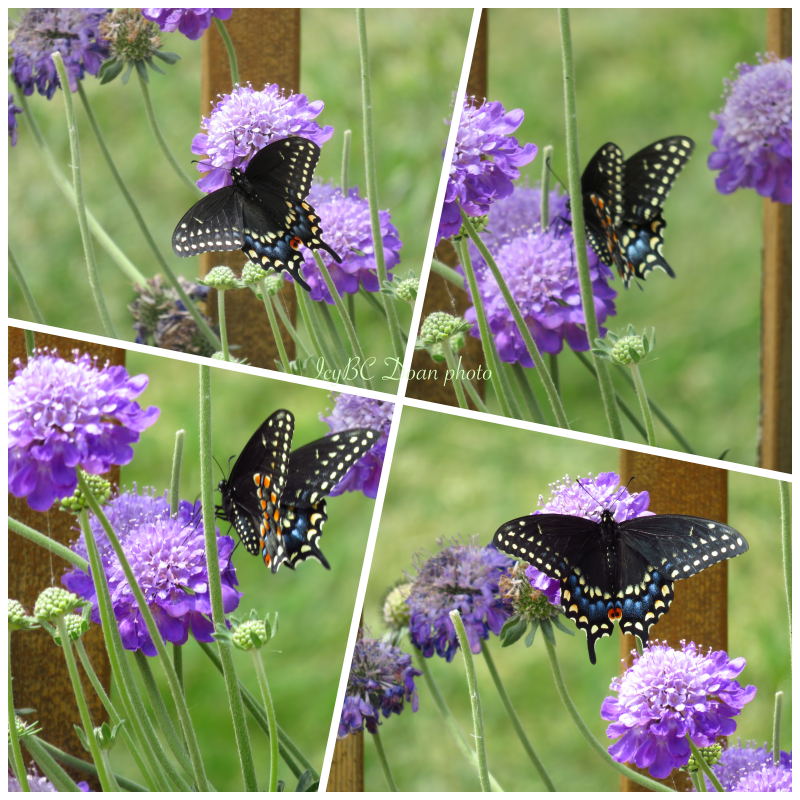 I haven't seen a butterfly around here this year at all.